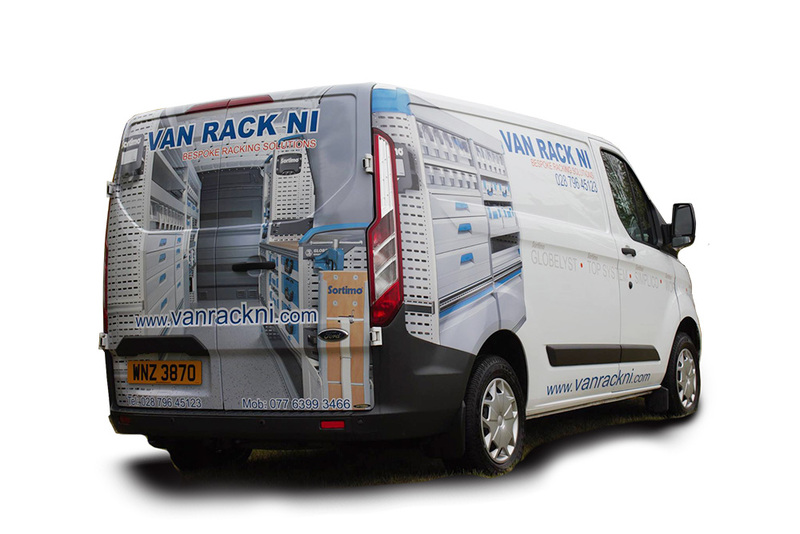 Get the best from your van with Van Rack NI – authorised partner of Sortimo storage solutions. 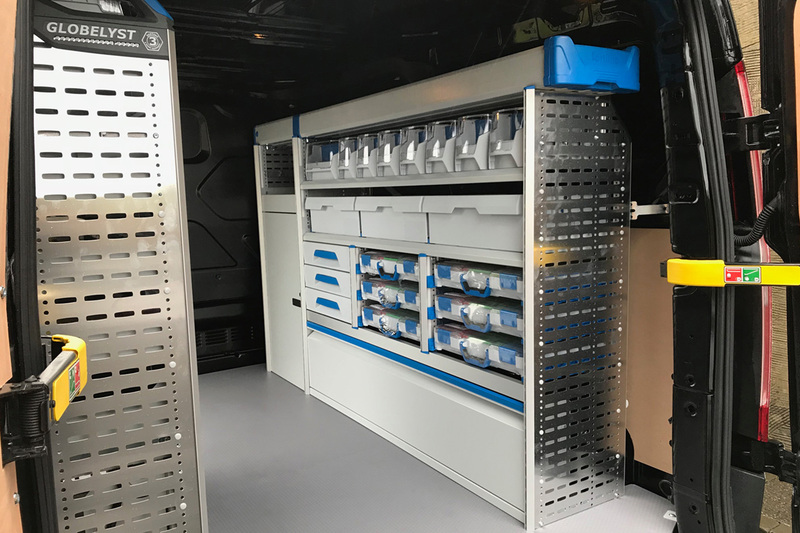 Get smart and get efficient – Make the most of your vehicles available load space, store your tools and equipment in security – letting you take care of business. 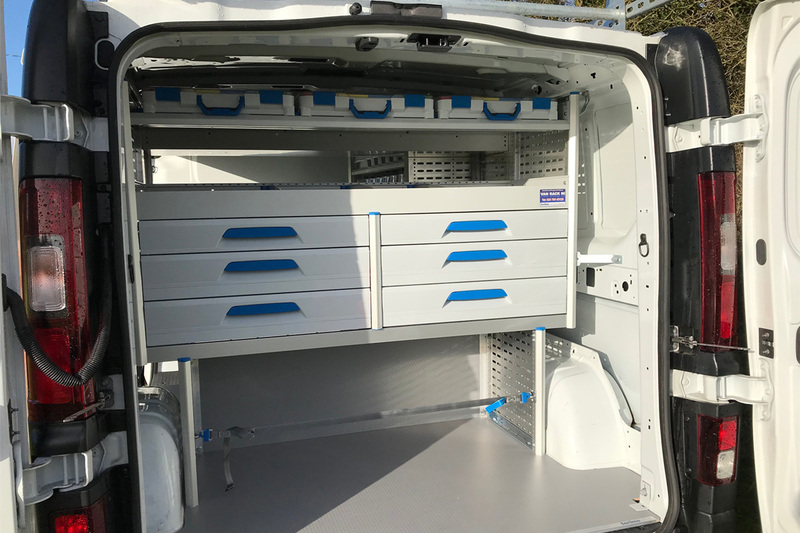 Our solutions are fully customisable to your needs and our vast list of accessories will allow you to tailor your van to your job. 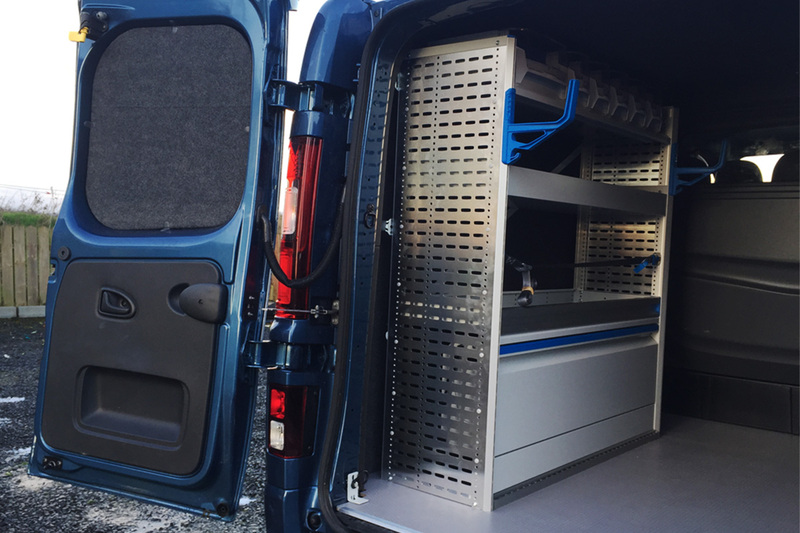 Our in house design team will work closely with you to identify your needs and provide a plan of your load space to allow you to plan your workflow and storage needs. We can specify the correct accessories to deliver the best for your business. Working with industry leading brand Sortimo allows us to give you complete confidence in the durability, security and safety of your installation. Sortimo products are designed to last – to be lightweight and are fully crash tested and certified for use throughout Europe giving you piece of mind. Increase the safety of your goods, and most importantly, yourself. Solutions can be moulded to meet your requirements. You do not have to settle for any standard solution. With Sortimo, you always have the latest development on the market, as an aid to you in your vehicle. 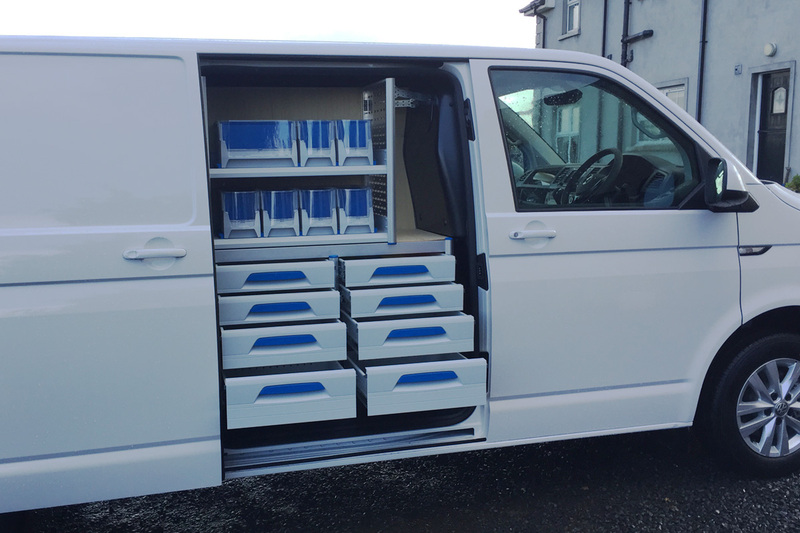 Sortimo works closely with manufacturers to offer Van Racking Solutions for your particular make of vehicle. Select a catalogue to match your vehicle make and model. 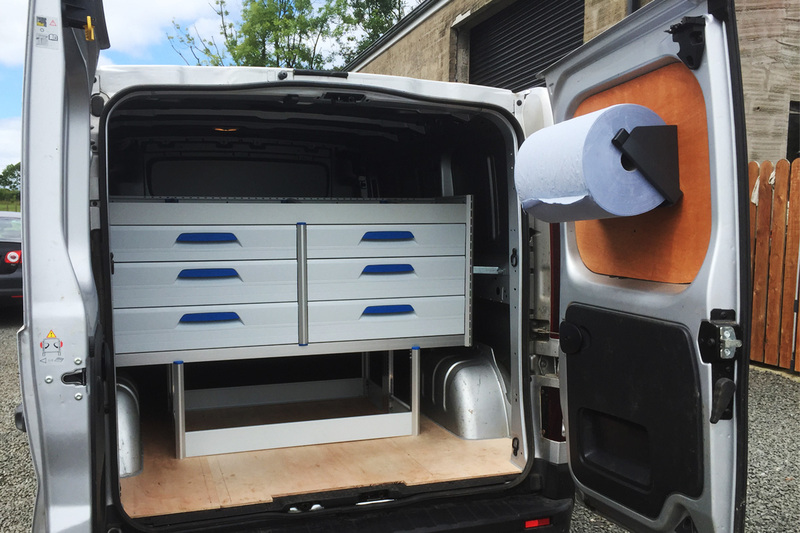 All of these installations are customisable and can feature accessories to suit your needs. 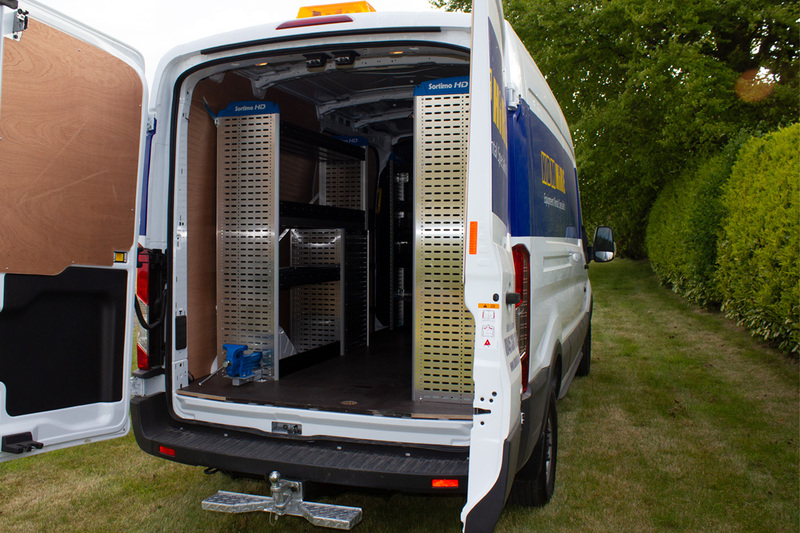 Don’t see what you need – don’t worry our systems can be tailored to any vehicle. With original accessories from Sortimo, you design to your own requirements. 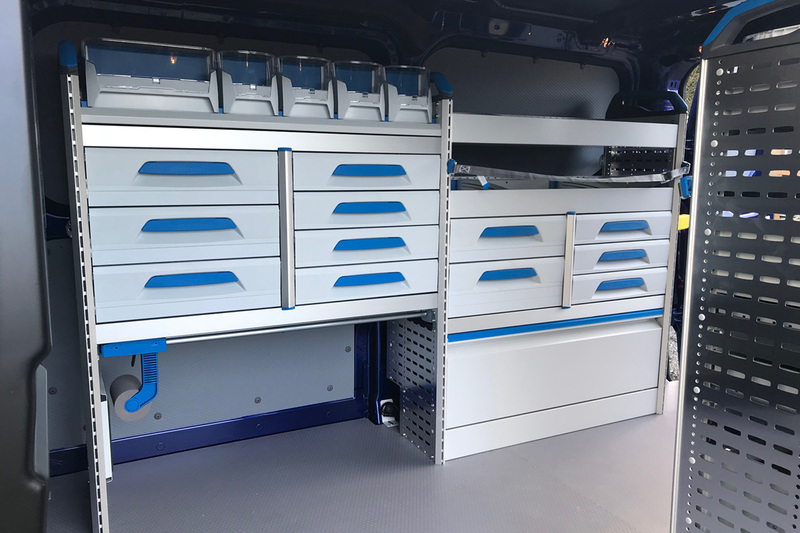 Customised partitioning and divider sets for drawers or trays, storage pockets, lashing rails, work benches and much more, facilitate the best usage of your utility vehicle. THE FLEXIBLE AND VERSATILE SHELF SYSTEM. 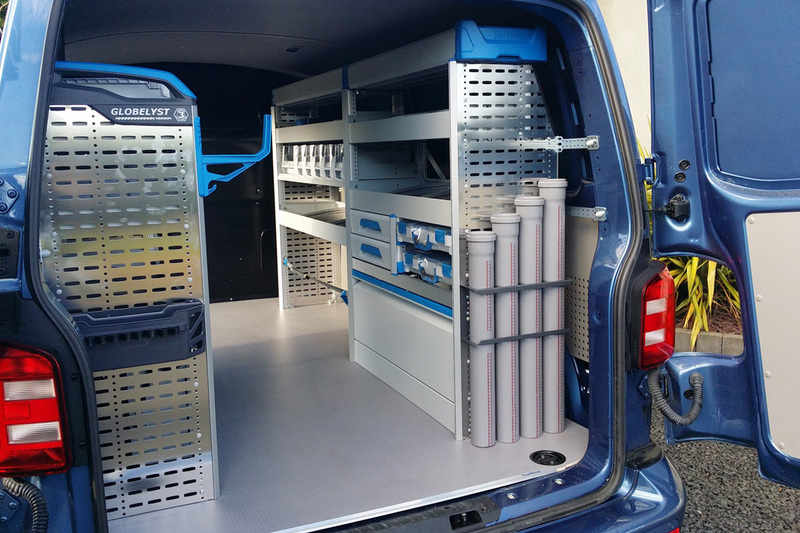 The options are limitless – Build your Van around you! 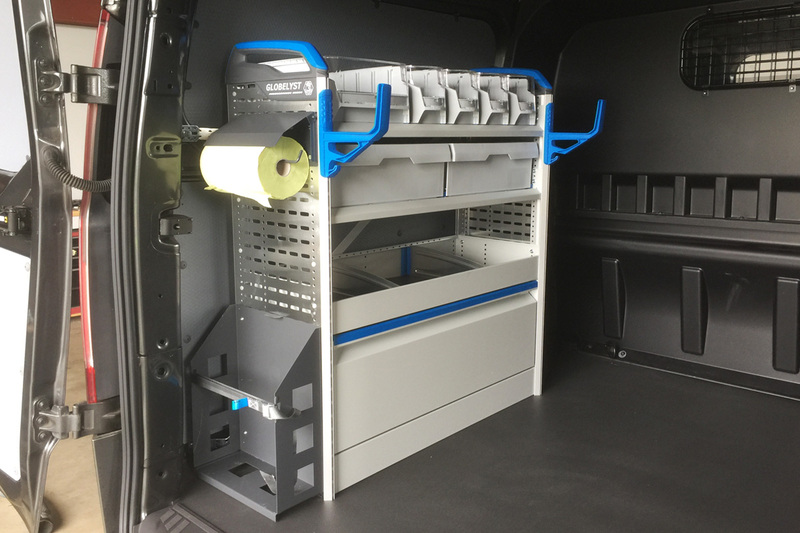 and all accessories can be used in flexible ways to help you maximise the efficiency of your work processes.